Jennifer Lawrence was a picture of elegance as she swished up and down the red carpet in a classic style blue velvet gown at the New York premiere of 'X-Men: Days Of Future Past' in which she stars as Mystique. She flashes paparazzi a few funny faces in between the sultry looks. Professor X, Mystique, Magneto, Kitty Pryde and Wolverine are back, but this time the latter is trying to convince X-Men from the past to help stop a war that is going to occur in the future. It’s a complicated plot, by all accounts, but one that Bryan Singer and Matthew Vaughn have portrayed skilfully, with plenty of action in between. The critics have kicked off the ever fluctuating aggregate Rotten Tomato score with a very healthy 86%. “Not since 2003's "X2: X-Men United" has this filmmaker tapped so effortlessly into his talent for comicbook gravitas, his ability to mine emotional resonance, pop poetry and (crucially) sly humor…” wrote Variety’s Justin Chang. Jackman, Fassbender And McAvoy Dance To "Blurred Lines" On "Graham Norton Show"
X-Men: Days of Future Past co-stars, Hugh Jackman, James McAvoy and Michael Fassbender appeared on BBC’s The Graham Norton Show and Jackman gave away a very funny Fassbender fact. Continue reading: Jackman, Fassbender And McAvoy Dance To "Blurred Lines" On "Graham Norton Show"
Inside 'Days Of Future Past', "Now I Really Feel I'm Making An X-Men Movie"
X-Men: Days of Future Past is getting closer. 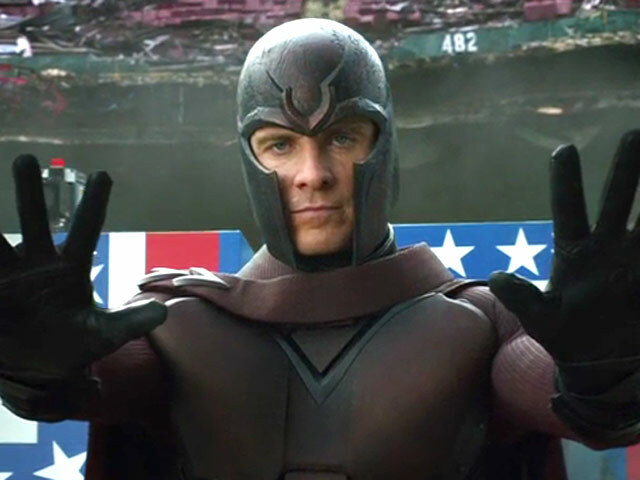 Fox has released the X-Men: Days of Future Past behind-the-scenes featurette as it prepares its promotional material ahead of the movie's release on May 23. Mainly featuring Bryan Singer explaining his reasons for getting back into the director's chair for the latest entry in the long-running superhero series, the new clip also features some pretty neat looking footage from the blockbuster. 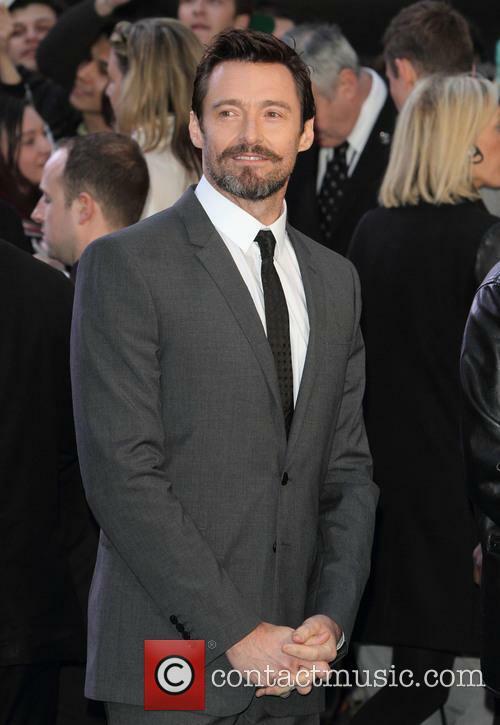 Singer's first two movies starring Hugh Jackman paved the way for the younger cast (McAvoy, Fassbender, Lawrence etc) to take a hold of the franchise, though the filmmaker is delighted to be forging both teams together for Days of Future Past. Continue reading: Inside 'Days Of Future Past', "Now I Really Feel I'm Making An X-Men Movie"
The stars were out to party at last night Empire Film Awards. 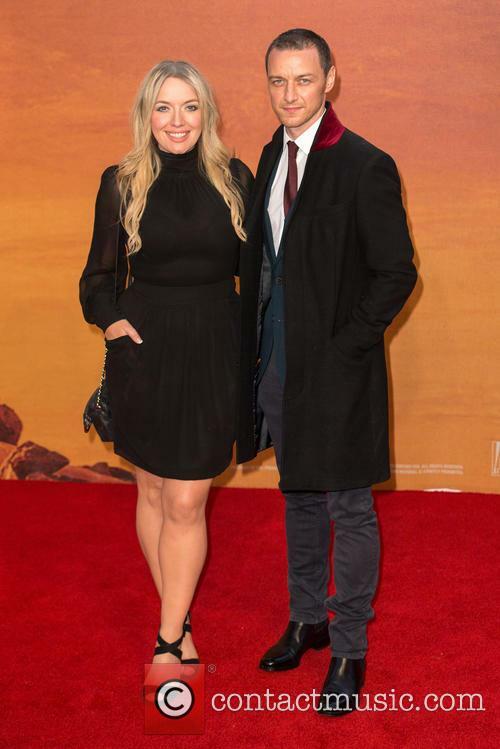 Some of the biggest names in film were out last night for the Jameson Empire Film Awards, which saw the year's biggest and best movies awarded for a storming year in filmmaking. Voted for by the public, the awards presented a somewhat different picture of the last year in film than most of the other big awards ceremonies have done so far. It Was An Evening Of Triump For Emma Thompson, Who Was Awarded Best Actress. 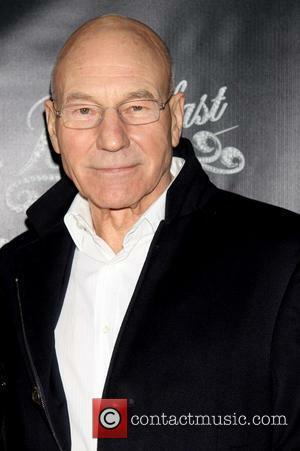 Space thriller Gravity and the fantasy sequel The Hobbit: The Desolation of Smaug were the evening's biggest winners with the former winning Best Film and Best Director for Alfonso Cuarón whilst the latter picked up Best Sci-Fi/Fantasy and Best Male Newcomer for Aiden Turner, AKA Kili. Saving Mr, Banks star Emma Thompson and Filth actor James McAvoy took home the respective male and female acting awards, according to the movie magazine. 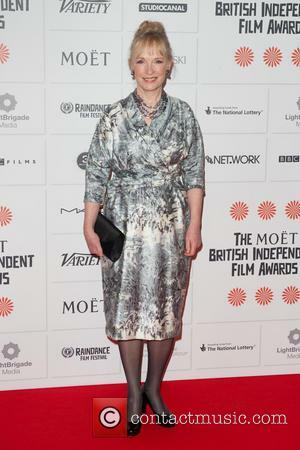 The BIFA 2013 honored some of the best in independent cinema from this past year. 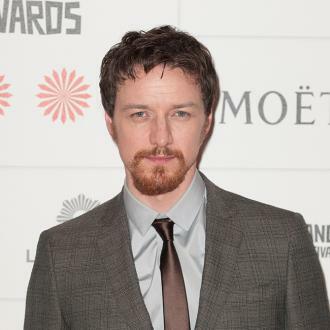 This year’s British Independent Film Awards honored world-renowned Hollywood actors and actresses, as well as small, independent productions and rising stars, from James McAvoy and Julie Walters, to newcomers like The Shell’s Chloe Pirrie. 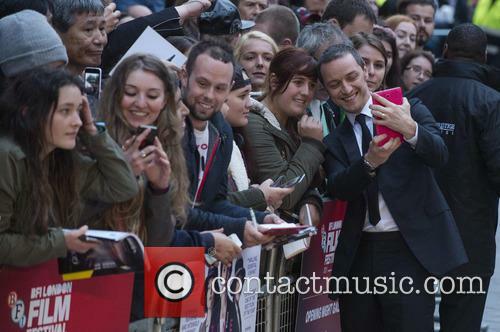 Lindsay Duncan and James McAvoy won for best actress and actor, respectively. Some of the winners included Blue Is The Warmest Color (Best International Independent Film), Filth and Le Week-end, but with three awards in total, Sean Ellis’ Metro Manila was by far the most successful. The film won for Best Achievement in Production, Best Director and the top honor of the night, Best British Independent Film.Click here to check out the full review of Metro Manila. 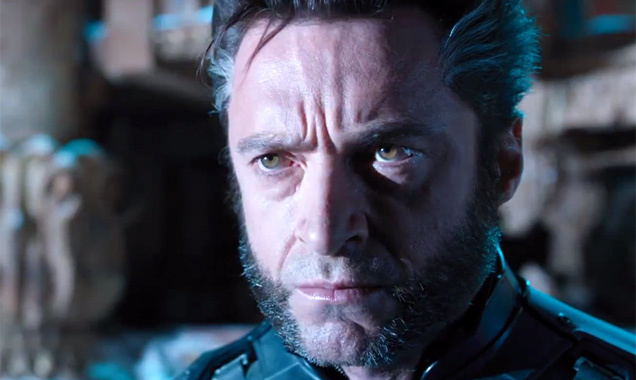 Check out the emotional trailer for 'X-Men: Days of Future Past' below. Following a nastily short, nevertheless exciting, six-second teaser trailer released last week, we finally have a longer trailer to whet our comic book appetites. The emotive, epic trailer for X-Men: Days of Future Past sets out the story, which sees two generations of X-Men required to stop a war before it begins. 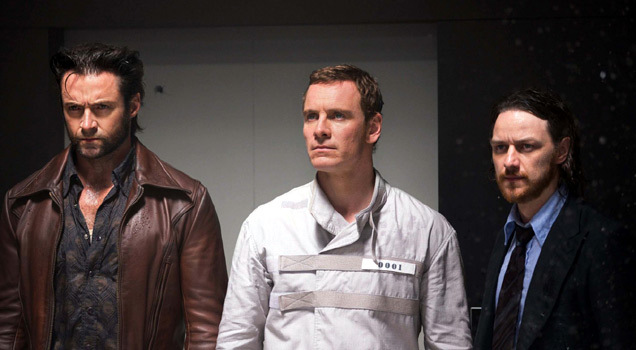 Will 'X-Men: Days Of Future' Past Energize Or Kill Off The Franchise? 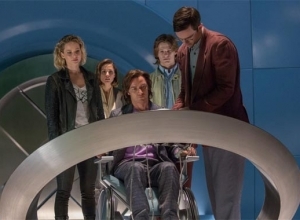 Can Bryan Singer save the X-Men franchise with 'Days of Future Past'? 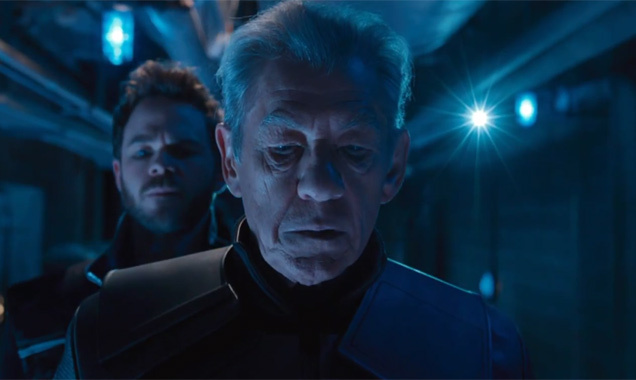 Filmmaker Bryan Singer has released the first clip from his anticipated X-Men sequel X-Men: Days of Future Past - a few seconds of footage featuring Hugh Jackman's Wolverine and Patrick Stewart's Professor Charles Xavier. Days of Future Past - due out in May 2014 - follows on from Matthew Vaughn's 2011 prequel X-Men: First Class which chronicled the superheroes' origins in the 1960s. 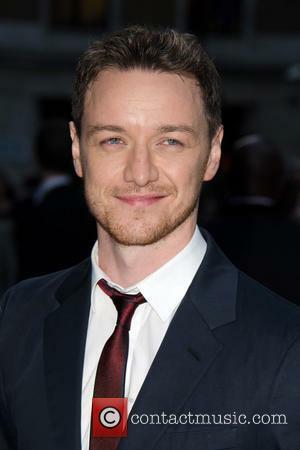 The new movie - which stars James McAvoy as the young Xavier, Ian McKellen and Michael Fassbender as Magnet, Jennifer Lawrence as Mystique, Anna Paquin as Rogue and Halle Berry as Storm, is adapted from one of the comic book story lines conceived by Claremont. 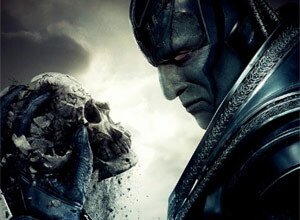 Continue reading: Will 'X-Men: Days Of Future' Past Energize Or Kill Off The Franchise? 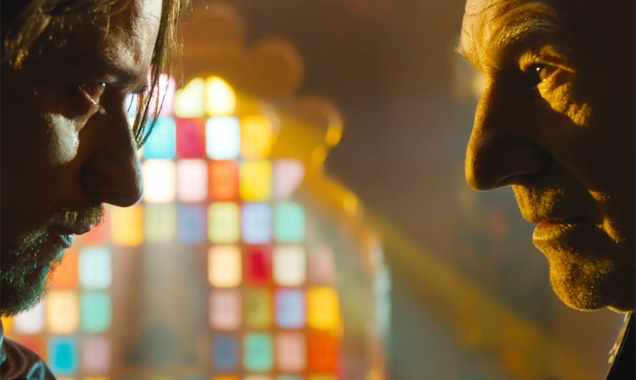 X-Men: Days of Future Past won't be out until May next year, but after you see the first trailer for it you'll wish that you could jump forward and dive right into it now. In it, we get our first real glimpse at our mutant heroes and villains, from past and future, who must bend the space time continuum to make the future a better day for mutants throughout the Marvel Universe. Based on the much lauded and incredibly popular (if you happen to be into comic books at least) 'Days of Future Past' storyline from the Uncanny X-Men, the move will unite the characters from the first X-Men movies with those from 2011's X-Men: First Class, with the present day X-Men having to go back in time to prevent the ongoing war against mutants, who are being hunted down by the robotic Sentinels. Are you still with us? Good, because it gets even more complicated. Two big British films hit UK cinemas this week. 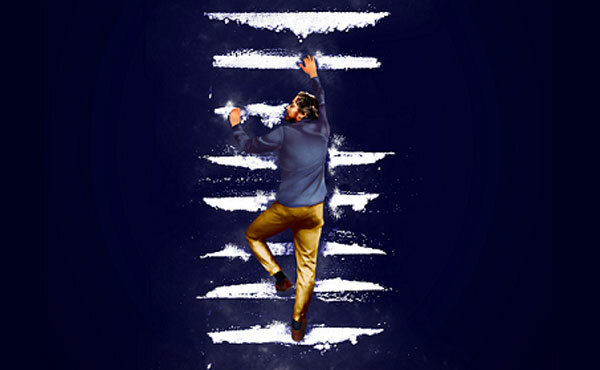 After storming the Scottish box office last weekend and garnering rave reviews across the board, Filth arrives in the rest of the country this week. Based on the novel by Irvine Welsh (Trainspotting), the Edinburgh black comedy stars in a career-redefining role as a deeply nasty cop. Read our 'Filth' review here. Meanwhile, Saoirse Ronan stars in the introspective thriller How I Live Now, set in a present-day Britain that's engulfed in war. Opening in the UK this weekend and in America next month, the film is directed by Kevin Macdonald (The Last King of Scotland), and the cast includes rising stars George MacKay (Hunky Dory) and Tom Holland (The Impossible). We gave the film 4/5 you can read the 'How I Live Now' review here. 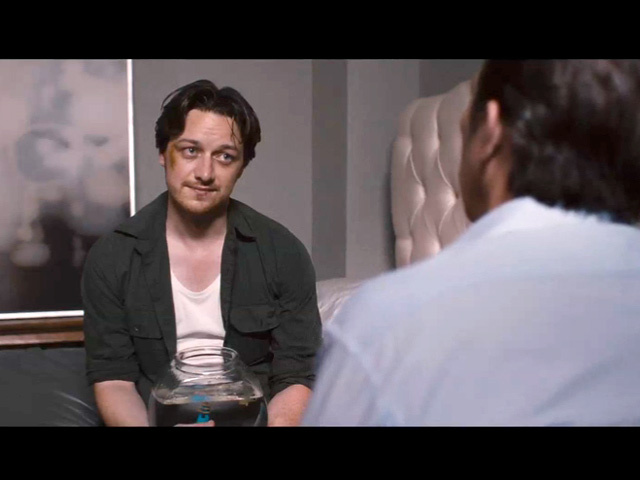 Filth is the James McAvoy-starring movie adaptation of Irvine Welsh's novel of the same name, about a debauched police officer scheming his way through life. Starring as Dt. Bruce Robertson, McAvoy snorts and shags his way through the night, and lies and cheats his way to the top during the day. 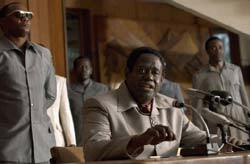 It is a gritty subject and one that has been both applauded and abhorred by opposing critics. Robertson is a devious and emotionally unstable fellow, indulging in sordid sexual activities and dabbling in as many drugs he can get his get his nostrils on. When he is on duty, his actions hardly change, only when he is there he has his eyes on the lucrative promotion to Detective Sergeant, and will stop at nothing to ensure he gets what he wants. Whilst struggling with an unpredictable bipolar disorder and desperate to resolve things with his ex-wife, his mental state becomes increasingly worse as he attempts to keep on top of his lies, whilst also attempting to get to the bottom of a murder case with as little effort as posible. Would he be wise to take on such an inflammatory role if it came up? 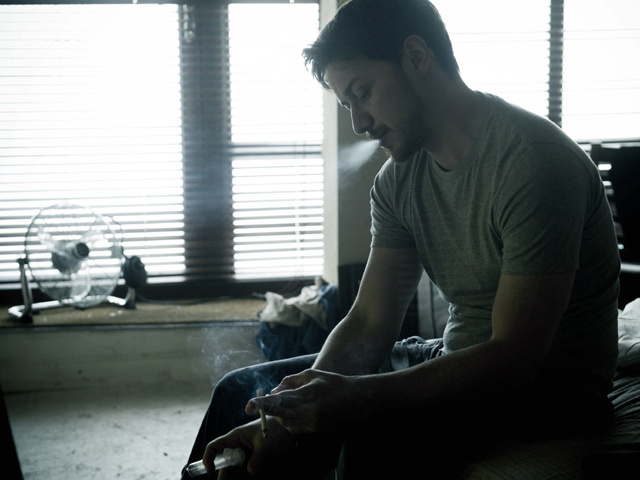 With his role in Filth, James McAvoy is a liberated man. His talents have been celebrated, both on the screen and on stage, and with a wave of critical praise pushing him forward, he’s ready to take on even the most challenging and controversial of roles, even that of Jimmy Savile. 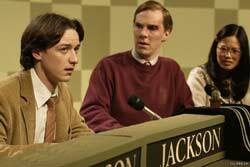 McAvoy in Welcome to The Punch. Irvine Welsh, who wrote the book on which McAvoy’s film is adapted from, also penned the 1996 collection, Ecstasy. One of the stories from that collected, entitled Lorraine Goes to Livingston, sees Freddy Royle - a fictitious children's TV presenter who turns out to be a child molester. 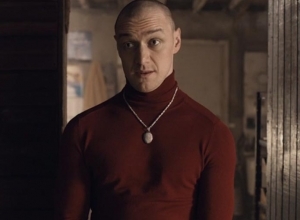 McAvoy's latest role certainly pushes the boundaries. 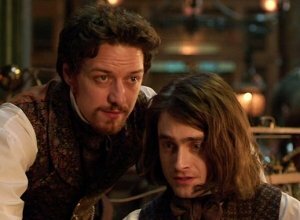 James McAvoy continues to assert himself as one of the finer actors of his generation. In his new film, Filth – one of Irvine Welsh’s fruitier novels – fans of the Scottish actor might just have their nerve tested as he indulges in possibly the worst (and best) character created by the Trainspotting author. Bruce Robertson, as you’ll see in the trailer below, is a narcotic-infused, alcohol-swilling, nymphomaniac party-beast who also happens to be a part of Edinburgh’s police force. He’s PC Bruce Robinson, but he isn’t politically correct, not one bit. X-Men put on a huge panel at Comic-Con 2013 with each cast member and writer present to answer the burning questions of the franchise's fans. The X-Men stars who were present at this year's monumental Comic-Con included writers Simon Kinberg and Omar Sy, as well as Ellen Page, Shawn Ashmore, Halle Berry, Ian McKellen, Patrick Stewart, director Bryan Singer, Hugh Jackman, James McAvoy, Michael Fassbender, Jennifer Lawrence, Nicolas Hoult, Peter Dinklage, Evan Peters, with producers Lauren Shula Donner and Hutch Parker. Hugh Jackman: Always Ready To Break Into Song. 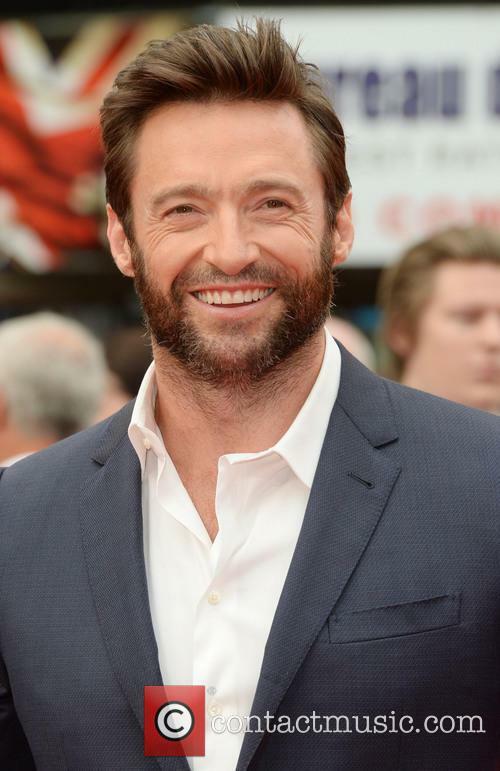 Hugh Jackman, AKA Wolverine, took centre stage as arguably the most memorable and distinctive character in the long-running franchise. Describing his role as Wolverine as "the job that has defined [his]career...every day [he's] grateful," he added "I thank my lucky stars" before he and X-Men director Bryan Singer engaged in a spot of snuggling. And so, after a decade, Shameless is no more. Say goodbye to “Shameless” – everyone else has, in one massive final blowout – in other words, a final episode to remember. The series is Channel 4’s longest runner, but this past season hasn’t exactly been its peak year. Having opened with a 1.7 million viewership, the rest of the season averaged just over a million for each episode, clearly hobbling on its last leg. Shameless hit a ratings peak during its fourth series in early 2007, attracting up to 3.5 million viewers and a near 20% share for the early episodes of that run. However, according to the Guardian, this peak may have had something to do with Shameless following directly after Big Brother for that season. Whatever the case may be, the Channel 4 drama is no longer reeling in the viewers like it used to. 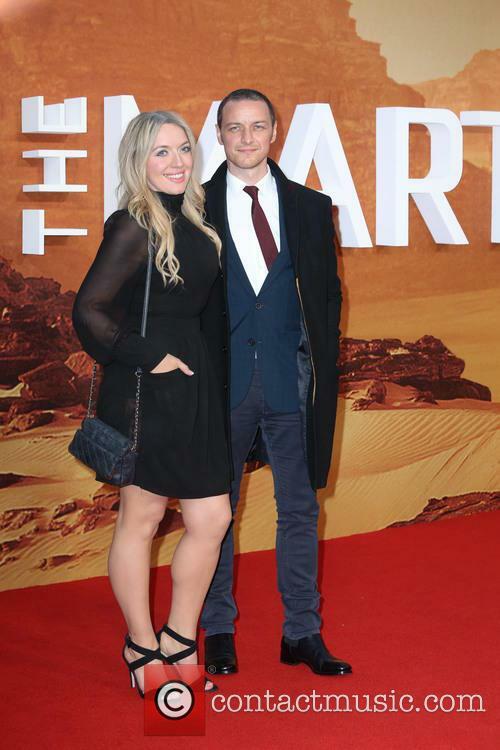 The final episode aired this Tuesday at 10, following the documentary Edward VIII: the Lion King, which averaged 800,000 viewers and a 3.2% share. Nevertheless, the drama had quite an impressive run – not only in terms of ratings, but also critical appeal. The series, chronicling the Gallaghers’ dysfunctional (to say the least) life helped launch the careers of stars like Anne-Marie Duff, James McAvoy and Maxine Peake. And with last night’s episode getting consistently good reviews, it looks like the drama is definitely going out on a high note. 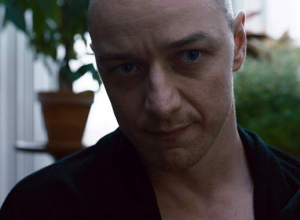 The Welcome To The Punch trailer has hit, giving us a sneak peak into the gritty crime thriller, starring James McAvoy, Mark Strong and Andrea Riseborough. The Eran Creevy-directed film is set to hit Cinemas on March 15th. It's Oscar weekend, so the stars are converging on Los Angeles for the big night on Sunday. Returning from the premiere of her new film Lovelace at the Berlin Film Festival, Amanda Seyfried was caught by the paparazzi as she landed at the airport to support Les Miserables, which has seven nominations including Best Picture. She signed autographs as she was ushered through the arrivals hall by her aggressive security team. The press also caught up with Jennifer Lawrence as she made her way through the Los Angeles airport. She's the favourite to win Best Actress for her role in Silver Linings Playbook and was also rushed through the arrivals hall while photographers snapped pictures. She managed to sign a few autographs along the way, and one of her minders can be seen putting her luggage in the back of her car, including a teddy bear. The Station Agent actor Peter Dinklage has joined the cast of the latest X-Men movie Days of Future Past. Director Bryan Singer announced the news on Wednesday (February 13, 2013), tweeting, "Officially like to welcome Peter Dinklage from Game Of Thrones to XMEN Days of Future Past. Very very excited!" 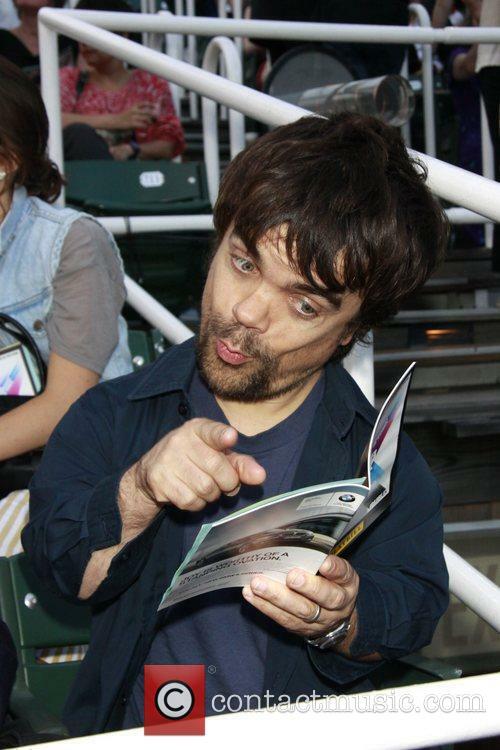 The casting of Dinklage is a strong move from Singer and the team - he won Best Supporting Actor at the Golden Globes in 2012 for his role as Tyrion Lannister in HBO's Game of Thrones. It's yet to be determined which role he will play in the forthcoming X-Men movie, which is co-written by Matthew Vaughan, the director of the previous movie. The franchise has spawned five movies so far, including the 2009 Wolverine spin-off. A follow-up to that film, The Wolverine, is due out this summer with Hugh Jackman's character travelling to Japan to train with a Samurai warrior. 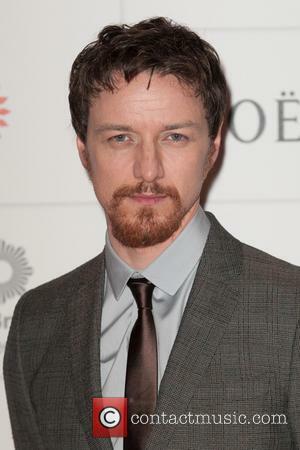 James McAvoy is set to star as the ill-fated eponymous character of William Shakespeare's 'Macbeth'. 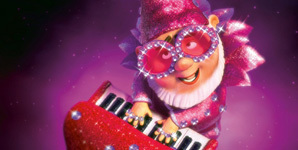 A Week In Movies Feat: The Hobbit, Helena Bonham Carter, Rise Of The Guardians, Ray Liotta, Ian McKellen, Jack The Giant Slayer And More! A specially painted Air New Zealand plane jetted around the world this week, collecting cast and crew to attend the world premiere of The Hobbit: An Unexpected Journey on Wednesday. 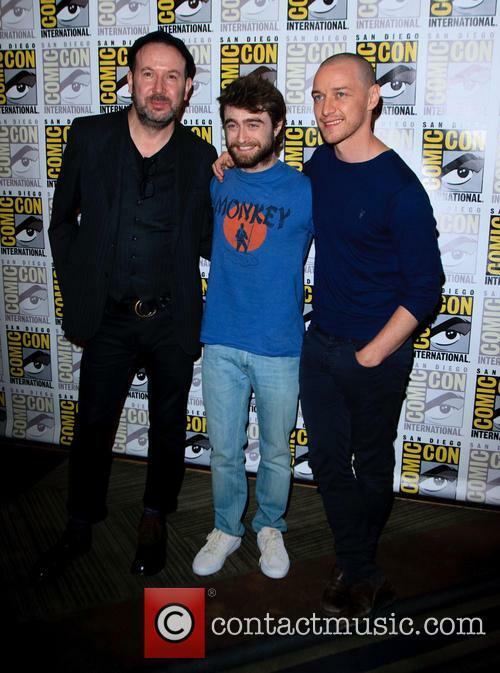 Wellington was renamed "The Middle of Middle-Earth" for the day, and the red carpet event was attended by Cate Blanchett, Martin Freeman, franchise guru Peter Jackson and more than 100,000 fans. Continue reading: A Week In Movies Feat: The Hobbit, Helena Bonham Carter, Rise Of The Guardians, Ray Liotta, Ian McKellen, Jack The Giant Slayer And More! It's 1962 and the world is on the brink of starting a new world war. As far as the general public are aware, mutants do not exist. 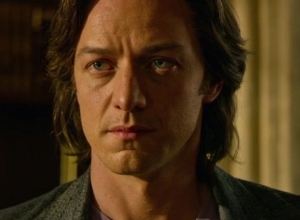 Two of those very mutants still discovering their abilities are Charles Xavier and Erik Lensherr (Professor X and Magneto), two equally intelligent men who share a secret; they both hold incredible powers. Matthew Vaughn kicks some life back into the X-men franchise with this superbly written, directed and acted adventure. In addition to restoring a sense of subtext to the premise (missing since X2), the film is a thrilling, intelligent blockbuster. It's 1962, and Charles Xavier (McAvoy) is recruited by US Agent MacTaggart (Byrne) to explore how the CIA can benefit from mutant humans. The telepathic Charles grew up with shapeshifting Raven (Lawrence), and they start assembling a team. A key partner is metal-manipulator Erik Lehnsherr (Fassbender), who's set on revenge against energy-absorbing Shaw (Bacon), who killed his mother in a Nazi war camp and has powers of his own. And now Shaw has his own mutant team (Jones, Flemyng and Gonzalez) and is sparking a nuclear war between the USA and the USSR. Make no mistake: Penelope is a fairy tale. I mention this at the outset because the filmmakers do too, appearing almost desperate to point it out as often and early as possible. The movie begins, for example, with a "once upon a time" title card, in case the story of a girl born with a pig's nose due to a gypsy's curse that can only be undone by true love is mistaken for another movie about Iraq. Christina Ricci plays Penelope, the besnouted girl. 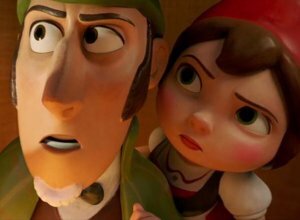 Ricci is comfortable in fantasy from her work with Tim Burton and Barry Sonnenfeld (and, for that matter, Vincent Gallo), but Penelope lacks character beyond idle fairy-tale outlines, and Ricci regresses, coming off a good decade younger than she is and trading in her otherworldly spark for generic adolescence -- something she rarely did as an actual adolescent. Halfway into his masterful 2005 adaptation of Jane Austen's Pride & Prejudice, Joe Wright's camera enters the tight hallways and expansive rooms of a late-18th-century estate with several suites dedicated to smoking, gossiping and dancing. Fluidly drifting through encounters and gestures, the camera picks up the lilting remnants of conversations both benign and interesting. It's a miraculous and graceful scene that palpably exudes the feeling of being caught in a nest of gadflies. The same shot can be found in Wright's adaptation of Ian McEwan's monumental Atonement, though the setting is now 1930s France. Three soldiers from London come upon a beach filled with soldiers waiting to return to their respective homelands. The camera glides past sergeants executing diseased horses, a choir of damaged infantry men and dozens of wounded battalions. Smoke bellows from scrap fires and a looming ferris wheel turns in the distance as the three English soldiers make their way into a bar. Using '80s nostalgia and the ever-reliable British love of embarrassment to maximum effect, Starter for Ten is that unusual coming-of-age comedy which manages to locate the occasional bit of funny amidst all the lesson-learning and overcoming of adversity. Also, the filmmakers know that, when in doubt about how to sonically ground scenes of awkward romantic longing and melancholy, round up as many songs by The Cure and The Smiths as possible. It just helps. Fresh off playing unintentional best buddy to Idi Amin in The Last King of Scotland, the ever bright-eyed James McAvoy stars here as Brian Jackson, a working-class kid from Essex who's always been on the bookish side -- he and his best mates' habit of listening to Motörhead and drinking lager in public notwithstanding. Out of high school, he scores a place at Bristol University, where, like any good freshman who never thought he'd get into college, he immediately sets to making a fool of himself in front of anybody who happens to be around. This includes the sullenly gorgeous, extremely political and scathingly sarcastic Rebecca Epstein (Rebecca Hall), set up as the dark horse romantic candidate in opposition to the front-runner, Alice, a peppy, rich, troublesome blonde with a tendency to take advantage of guys like Brian with puppy-love crushes. It's very seductive when the popular and powerful want to welcome you into their inner circle, and none is more susceptible to the charms than the brash and reckless new doctor Nicholas Gerrigan. Since the first comparison made with C.S. Lewis' Narnia fantasy series is to his friend and colleague J.R.R. Tolkien's Lord of the Rings books, it is worth noting that - as recently mentioned in the New Yorker - Tolkien hated the Narnia books because their ideological underpinnings constrained the fiction itself. Tolkien was as devoutly religious as Lewis but you didn't see the hobbits going to church on Sunday; Middle Earth was a pretty pagan land where mythology, not theology, was the rule of the day. Lewis was a different sort, of course, and though the seven Narnia books were brilliant fantasy, they also had an irksome tendency towards preachiness. This same problem afflicts The Lion, the Witch and the Wardrobe, the (potentially) first Chronicles of Narnia film, a crass product of merchandised morality from Disney and Walden Media, a media company owned by Christian evangelist billionaire Philip Anschutz. Director Andrew Adamson makes his live-action debut here after the two Shreks, but it's an easy transition for him, given that a good portion of the film has a CGI/character complexity ratio about as high as the last few Star Wars films. 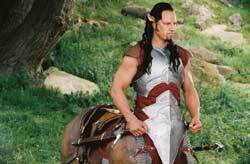 Although Narnia doesn't lend itself well to the cheeky pop culture reference-o-rama that Shrek did, it shares those films' same treacly sentimentality and market-researched plasticity. The Last King of Scotland is a biography told like a coming-of-age drama. Nicholas, played by James McAvoy - think of him as sort of a Ewan MacGregor Lite - is a brand-new doctor in 1971 Scotland who impulsively flees a stifling future and heads to Uganda, where he arrives just after a coup installed beloved soldier-of-the-people Idi Amin, played by Forest Whitaker, as president. Nicholas is meant to provide aid at a remote, overworked rural clinic, where he makes a bee line for the older -- and married -- Sarah (Gillian Anderson). Bright Young Things arrives at an ideal time. Focusing on a group of twentysomething socialites having a frolicking good time in 1930s London, while the press hungers for every detail, it capitalizes on the current media's fascination with idiot VIPs like the Hilton sisters and Bijou Phillips. For some, Bright Young Things could also serve as a sunnier alternative to the gloomy young things in Garden State, Natalie Portman excluded. It's OK to have fun in your twenties, and in Bright Young Things, the characters have plenty of it. 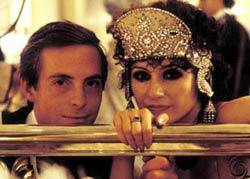 They attend lavish costume parties that scream of good times and well-funded debauchery, do cocaine like Rick James in 1979 and take trips to the countryside, all the while exchanging quips. At its best, the movie resembles a far more literate, sophisticated version of an episode of the E! True Hollywood Story. One way to deal with disability is courageously but, as this film and its principal character demonstrate, when splashy bravura is used to mask anger, pain and unacceptance, courage may not be what's being expressed. Of course, one can always point out that the fully-abled are in no position to know or to judge the cries for help that come from being confined for life to a wheelchair. That aside, the title character of the drama takes self-assertion dangerously close to the realm of self-destruction. The assisted living home in Dublin, known as the Carrigmore Home for the Disabled, contains a cross-section of impairments, from mild to the barely functional. In the case of Michael Connolly (Steven Robertson), who has grown up there, his cerebral palsy binds him to a wheelchair and to a speech impediment that makes verbal communication all but impossible. More moderately charming than a romantic comedy should be with stars as charismatic and irresistible as Kirsten Dunst and Paul Bettany -- but charming nonetheless -- "Wimbledon" is a cute mutt of cross-breeding between sports movie formula and chick-flick producers. A product of the team behind "Four Weddings and a Funeral," "Notting Hill" and "Love Actually," it's a rousing athletic-underdog story about low-ranked, self-stymied pro tennis player Peter Colt (Bettany, from "A Knight's Tale," "A Beautiful Mind" and "Master and Commander") who finds his groove by falling in love with Lizzie Bradbury (Dunst), the rising-star queen troublemaker of women's tennis. Full of confidence and flirtatious sass, very soon after their meet-cute (he's accidentally given the key to her hotel suite and walks in on her showering) she says to him, "Where do you come down on the fooling-around-before-a-match issue?" But she barely gives him time to answer, in the process giving a miraculous boost to his game at the world's most important tennis tournament -- and turning hers to mush. 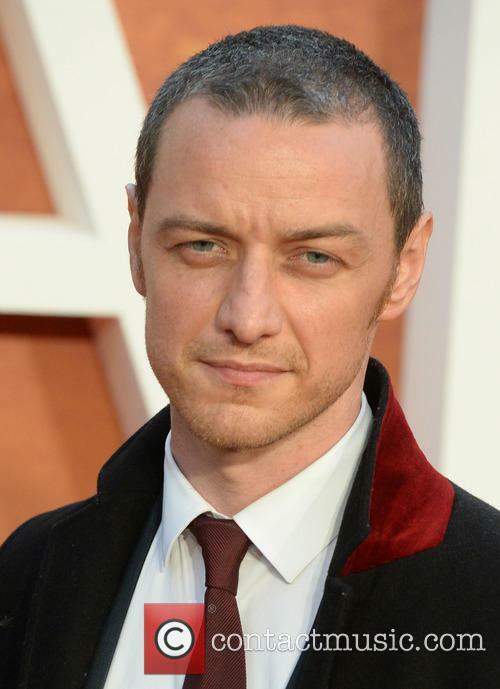 James McAvoy Gets a Professor Xavier-Style Trim for "Apocalypse"
How Does X-Men: Days of Future Past's Debut Compare to Other Box Office Goliaths?